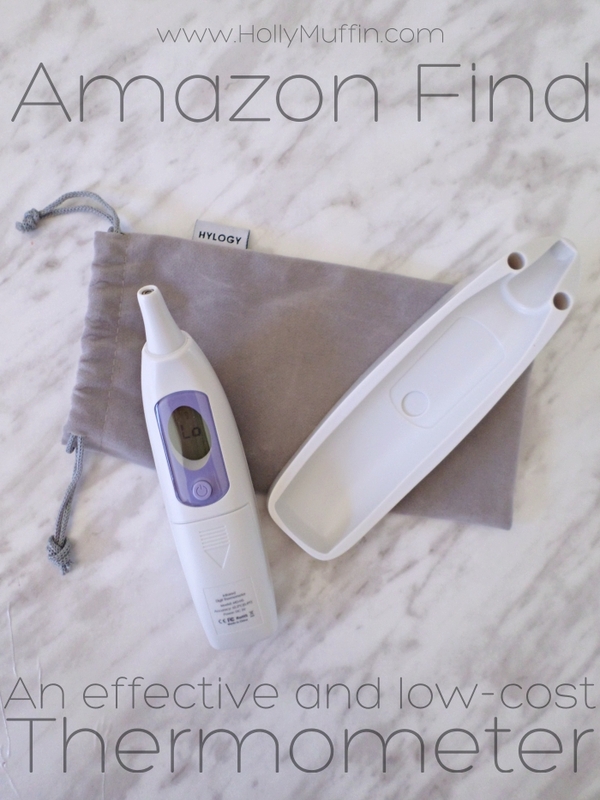 Amazon Find: An Effective Ear Thermometer for only $35! A few months ago, the batteries in our traditional thermometer died and I was shocked to learn that replacing the battery was the same cost as buying a whole new thermometer! I knew that if I was buying a new one, I wanted something a little more sophisticated. Every time my kids got sick, I found myself scrambling to try and get an accurate temperature out of a regular thermometer. With little ones, this can be a huge struggle. I did some hunting on Amazon, and came across a huge selection of thermometers. Not only were they comparable to ones found in local pharmacies and big box stores, they were over half the price! Here are my thoughts on Amazon thermometers. Finding bras that fit correctly has always been an issue for me. Recently, I went on the hunt for the 15th billion time in my life and found nothing. I decided to get remeasured, and was informed at two separate stores that what I needed wasn’t readily available for me. My band vs. cup measurement didn’t exist on their size chart. I tried on the best they had to offer, and it didn’t fit. Finding a band that fit was no issue, but finding a cup that I didn’t spill out of was seemingly impossible. I have always been a paranoid parent. From the time Holly was born until she turned 6, I used a traditional baby monitor anytime she was sleeping. When she became old enough to wake us up if anything was wrong, my husband suggested that we finally ditch the monitor (aka not wake up at every little noise). I couldn’t do it. What if she rolled out of bed and I didn’t hear it? What if she started talking in her sleep and I missed it? What if she decided 3 a.m. was an appropriate time to play Barbies and I didn’t notice? There were endless possibilities. When we had our son CJ in 2014, the frugal mom inside me realized that it was time – instead of buying a new monitor, I could just move the old one. So that’s what we did. When CJ had just turned one, we went through a rough patch with his health. He woke up multiple times per night and coughed so hard that he would vomit in his crib. There were months of doctor visits, tests, and sleepless nights. I became extremely paranoid thinking that he would need me and I wouldn’t hear him. During this time, our baby monitor was a large sense of comfort for me. Although I couldn’t see CJ, I knew that if I heard that particular cough coming through the speaker, I’d better run to check on him. If I woke up in the middle of the night worried, I could roll over and be reassured that the monitor lights were on. Over the last year, CJ has moved past these issues – something I’m extremely grateful for. But, to this day, I still wake up thinking I hear him cough. When I recieved my first video baby monitor, I instantly thought back to last year and realized how much it could have helped our family. There were plenty of middle-of-the-night trips to check on CJ that could have been avoided if I could have seen him on a screen. Beyond that, waking up to a visual of my baby sleeping soundly in his bed would have greatly eased my paranoia. When I turned on the Philips Avent SCD 630/37 Video Monitor for the first time, I quickly realized how far monitors have come in recent years. Not only can I clearly see CJ in his crib on a 3.5″ digital screen in full colour, I can 2x zoom in on him, talk back to him, see the current temperature in his room, and even play him a lullaby. This digital baby monitor has won the PTPA Seal of Approval and I can clearly see why. “Always close to your baby” takes on a new meaning when you can see you child’s every move clear as day from up to 150 feet away. To be honest, having a monitor like this one has not only eased my night-time paranoia, it will allow our family to move forward with a huge change. My husband and I have spent the last 2 years dreaming of moving our bedroom to the lower level of our home to gain some space and allow our older girls to have their own rooms. I have been postponing the move since CJ was born for the sheer fact that being on a different floor than him scares me to death. Knowing that I always have a monitor with a secure connection and a parent unit that can be powered or last up to 10 hours wirelessly makes me feel like I’m on the horizon of a bit more freedom and ready to make this transition. I’m beyond excited. When CJ outgrows needing the monitor in his room (or should I say when I outgrow needing it in his room), we have big plans for it. The camera is sleek, modern, and sits perfectly on the bookcase in our main living area. When we’re doing yard work, in our lower level, or sleeping, we’ll have the convenience of viewing the entire main floor and checking in on what the kids are doing. Baby monitors have come a long way since the days of hearing your neighbour on the phone through the receiver, and this one is so advanced that it truly blows me away. Ultimately, I feel less paranoid and much happier knowing that I can keep watch over my baby at any time. Lucky for you, you don’t only have to read about my love for the Philips Avent SCD 630/37 video monitor, you can enter for a chance to win your own! Philips is giving away 2 of these awesome monitors and you can enter to win one via the widget below. Best of luck! I’ve been wanting to incorporate a facial cleansing brush in to my daily skin care lineup for some time now. At 25 years old, I still deal with acne and after taking years to nail down the right cleansers, moisturizer, and makeup, it seems natural to want to add a deep cleaning brush to my daily routine. The first and obvious choice was to go with a Clairsonic. I’ve been looking at purchasing the Mia 2 for years now, but could never bring myself to actually buy it. I’ve been told time and time again that that it’s totally worth the price, but I’m terrified that my acne prone skin won’t react well and I will end up spending upwards of $200 on a product that just isn’t right for me. 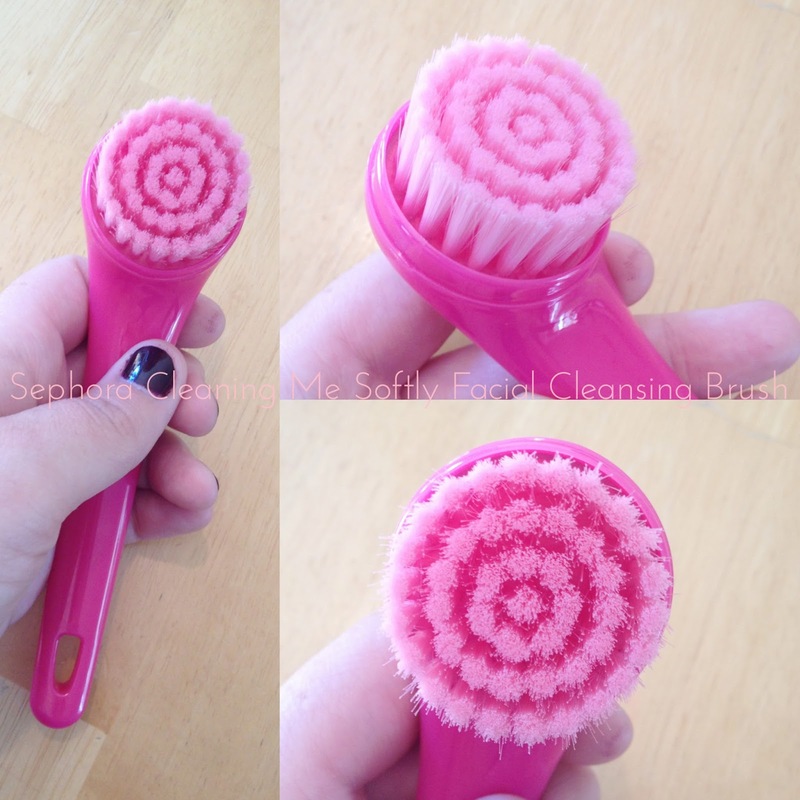 Of course I’ve tried several drug store cleansing brushes, but I’ve never found one that I wanted to keep using. During one of my (frequent) trips to sephora.com, I noticed this little guy. 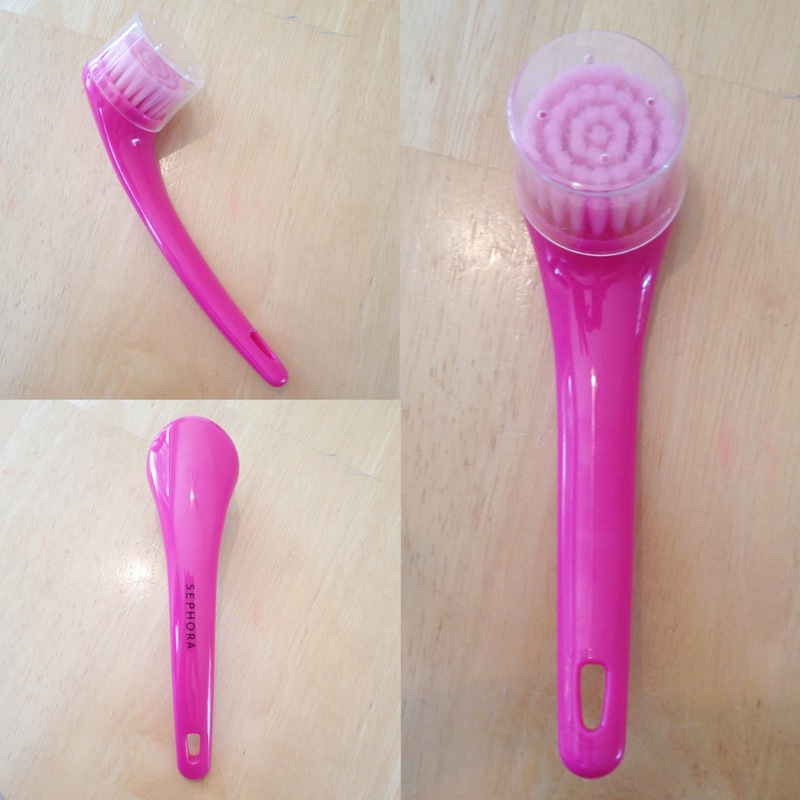 A manual and extremely affordable facial cleansing brush. What I Liked: In a nutshell, this brush is simple, effective, and extremely well priced. The bristles are very dense and well made, but also soft on the skin. I was worried that I would experience a scratchy feeling rather than a clean feeling, but that just isn’t the case. I’ve been using the brush nightly to help take off my makeup, and I feel totally exfoilated and tingly when I finish using it. What I Didn’t Like: It would be nice if you could buy replacement heads for this brush instead of having to buy a whole new one, but for only $13 CAD I can’t really complain. Final Thoughts: I will definitely be purchasing this brush again. It works very well for my skin – even better than I thought it would. I also can’t help loving that it’s pink! Go buy this brush! You can purchase Sephora’s Cleaning Me Softly Facial Cleansing Brush by clicking here.